Cooked and dehydrated tapioca pearls finished with squid ink, puffed in 210 degree oil. 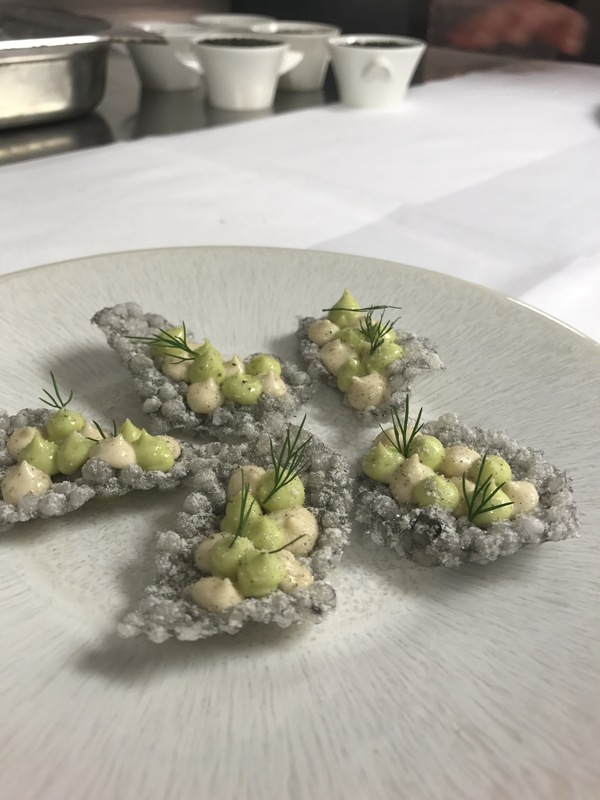 Emulsion made from a dill oil, taramasalata made from smoked cod roe. Dusted with a powder made from dried cod skin and malt vinegar powder.